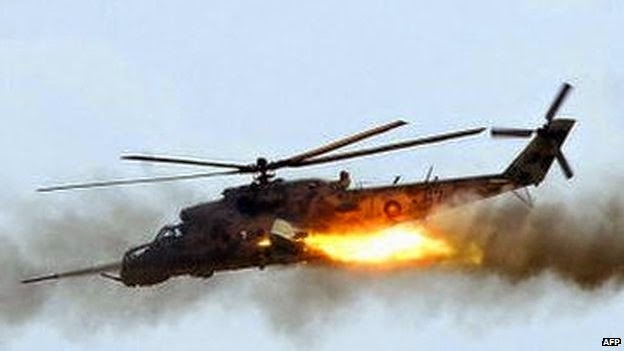 The armed forces of Azerbaijan shot down and destroyed an Armenian military helicopter in the Nagorno-Karabakh region on Wednesday, the defense ministries of both countries said. The incident threatened to set off another cycle of violence between the two South Caucasus neighbors over Nagorno-Karabakh, which is part of Azerbaijan but along with some surrounding territory has been under the control of Armenian soldiers and local Armenian forces since a 1994 cease-fire. Nagorno-Karabakh said the helicopter belonged to its armed forces and was on a training flight near the cease-fire line. All three crew members on board were killed, a high-ranking officer with the Nagorno-Karabakh forces told the AP. The officer was speaking on condition of anonymity because he was not authorised to release the information. Armenia has threatened "grave consequences" after Azerbaijan shot down one of its helicopter in the disputed Nagorno-Karabakh region. "This is an unprecedented escalation and the consequences for Azerbaijan will be grave," Armenian foreign ministry spokesman Artsrun Hovannisyan said. A further statement from Armenia's foreign ministry accused the Azeris of a "criminal provocation" and of "gravely violating agreements reached at recent summits." 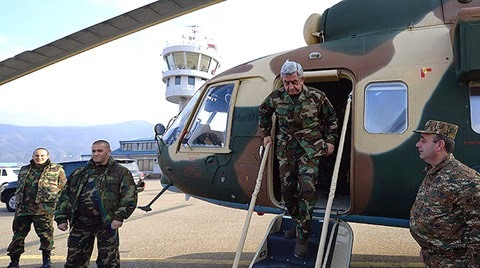 Azeri President Ilham Aliyev praised his army for the Nov. 12 downing of an Armenian helicopter that killed three crew members in the worst military incident between the two countries in 20 years. Aliyev promised more armed responses to Armenian “provocations” in future during an “operational meeting” yesterday with his generals in the western Shamkir District, his office said. The Iranian and Azeri officials signed five cooperation agreements on Wednesday to expand ties in areas of economy, renewable energy, industry, communications, and transport, IRNA reported on Wednesday. The cooperation deals were signed at the presence of Iranian President Hassan Rouhani and his Azeri counterpart Ilham Aliyev in Baku. Prior to his trip to Baku, Rouhani stated that the Caucasus is Iran's "bridge" to Europe and Iran is also the Caucasus's bridge to the Persian Gulf and the Gulf of Oman. "This bridge and multilateral relations with the Caucasus and the Central Asia should be strengthened," he added. Should Russia have a foreign legion, like France? A Russian lawmaker thinks such a concept could address the threat of the Islamic State (IS) group in Russia and Central Asia. The proposal, by State Duma Deputy Roman Khudyakov of the Liberal Democratic Party of Russia (LDPR) faction, comes amid growing fears over the influence of the IS in Russia and former Soviet Central Asian republics. The Russian lawmaker said that a Russian foreign legion could guarantee stability in Central Asia, and oppose possible aggression from Islamic State militants operating in the region. A 22-year-old Chechen man has been sentenced to two years in prison for fighting in Syria's civil war, a news report said Tuesday. 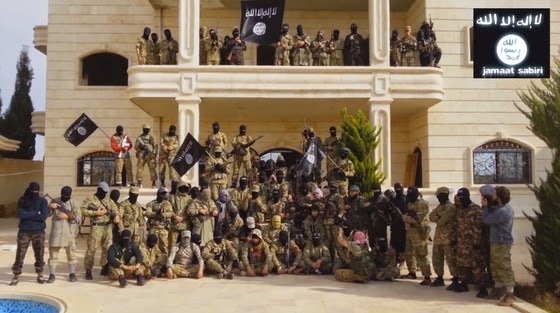 Said Mazhayev, who prosecutors say went to Syria last November and fought alongside the Free Syrian Army until January, admitted his guilt in court, prosecutors told the Caucasian Knot news website. Under Russian law, he could have faced up to 10 years in prison for taking part in an armed conflict in a foreign state. Ahead of the verdict, which was issued Monday, prosecutors had asked the judge to sentence Mazhayev to three years and two months in a penal colony. China has proposed setting up a forum to restart stalled peace talks between Afghanistan and Taliban insurgents, the latest sign Beijing wants more of a say in its troubled neighbour's affairs as it frets about its own Islamist militant threat. 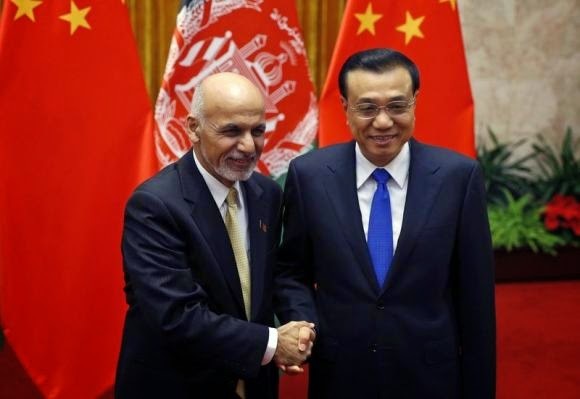 Documents seen by Reuters show that China put forward a proposal for a "peace and reconciliation forum" that Afghan officials said would gather representatives from Afghanistan, Pakistan, China and the Taliban command. China's proposal has not yet been formally announced because Afghan President Ashraf Ghani wants more time to see whether the Taliban and Pakistan are willing to join in, according to his aides. Pakistan will help China with its fight against extremists Beijing says are active in its unruly far western region of Xinjiang, the country's prime minister said on Saturday during a meeting with Chinese President Xi Jinping. Pakistan Prime Minister Muhammad Nawaz Sharif told Xi that his country would "continue to resolutely fight the East Turkestan Islamic Movement terrorist forces", China's foreign ministry said in a statement following the meeting in Beijing. Pakistan will increase its coordination with China on Afghanistan too, so as to "jointly maintain regional peace and stability", Sharif said. China has jailed almost two dozen people including "wild imams" who preach illegally in the western region of Xinjiang where the government says Islamists are waging a violent campaign for a separate state, Chinese media reported on Tuesday. The 22 suspects were sentenced to prison terms ranging from five to 16 years at a mass public sentencing in Xinjiang on Monday, the state-controlled China News Service reported. As well as the imams, or Muslim religious leaders, those sentenced included religious leaders who engaged in religious activities after being sacked, as well as those who broke the law while at their posts, it said.